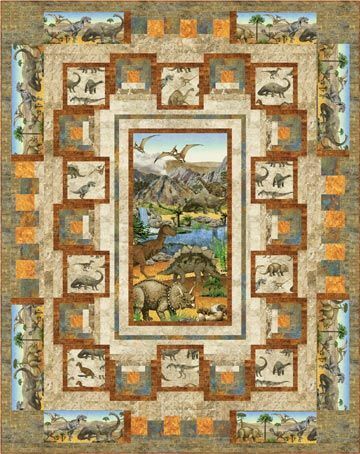 Begin with a panel and a border stripe, add Courthouse Steps blocks with molten lava centers to make a twin-size quilt straight out of prehistoric times. 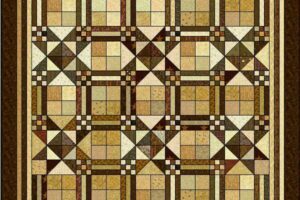 This easily pieced 76″ x 96″ design uses strip sets whenever possible and is do-able by any quilter with just a bit of experience. 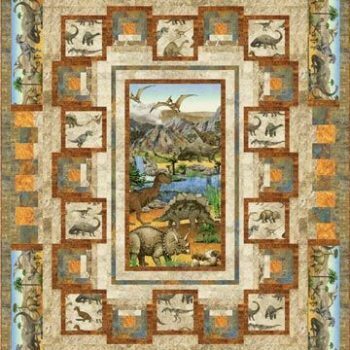 The quilt shown uses the Stonehenge Prehistoric collection from Northcott. 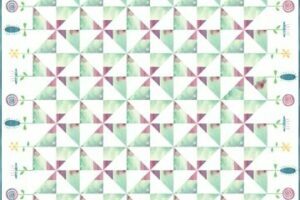 Our pattern includes lots of full-color diagrams and detailed step-by-step instructions.